Keywords: Ageing population, Economic Growth, Bibliometrics, Less ... rate, it is predicted that the prime working age group will be lower than the old age group in ...... states that Spain's pension spending is projected to increase from 8.2% in. The Centre of Policy Studies (COPS) is a research centre at Monash University devoted to quantitative analysis of issues relevant to Australian economic policy. The dramatic fertility decline since the beginning of 1970s has decelerated the growth of China’s working age population. From 2015, this growth will turn sharply negative, resulting declining labour force in China. This has caused concerns about the sustainability of China’s economic growth. This paper sheds lights on the view that a more efficient allocation of labour between sectors is likely counter balance the negative effect of populating ageing. Using a dynamic CGE model of China, we analyse the effects of removing labour market distortions that hinder the movement of labour from agricultural to manufacturing and services sectors over the period 2008 to 2020 in the context of declining growth of labour supply in China. Simulation results shows that removing the discriminations against rural workers in urban area will increase the labour shift from agricultural to non-agricultural sectors. The resulting increase in the movement of rural labour will mitigate the adverse effects of population ageing by raising not only the growth rate of total output but also household living standard. China can enjoy continued growth in its manufactured exports even with a slower growth in its labour force. authors wish to thank Peter Dixon for his helpful comments and suggestions on this paper. There has been increasing concern about the sustainability of China’s economic growth in recent years, particularly in relation to the dramatic age structure change and population ageing. Since the early 1970s, rapidly socioeconomic development and rigid family planning policy have caused a dramatic fertility decline, resulting in a rapid change to the age structure of China’s population (Wang and Mason, 2004; Poston and Gu, 1987 and Coale, 1984).1 China has completed its demographic transition (ie from a pattern of high fertility, low mortality and high population growth rate to a pattern of low fertility, low mortality and low population growth rate) within approximately 30 years, a very short transition period compared to most developed countries. The rapid fertility decline has brought China a substantial “demographic dividend”. 2 This demographic dividend coincided with an economic boom that has persisted in China since 1978, further fuelling an already rapidly growing and dynamic economy. Scholars estimates that the demographic dividend accounts for one fourth of China’s economic growth since 1978 (Cai, 2004 and Wang et al. 2004). However, that dividend is intrinsically transitory and will soon be exhausted because China’s unusually rapid fertility declines means that its population will also face a more rapid and severe process of ageing (Wang and Mason, 2004). The proportion of the working age population aged 15 to 64 increased from 56 percent in 1970 to 70.6 percent in 2005, while over the same period, the proportion of the youth population aged 0-14 declined dramatically from 39.7 percent to 21.8 percent, and the proportion of elderly aged 65 and over increased from 4.3 percent to 7.5 percent (United Nations, 2004). 2 The demographic dividend accrues to a population age structure characterized by a high proportion of working age population and low total dependency ratio. It opens up transitory opportunities for the country for an increased pace of economic growth (Bloom and Williamson, 1998). As the demographic transition proceeds, declining growth in the labour supply and rapid increase in the old dependency ratio will dissipate the demographic dividend and close the demographic window. In China the demographic window opened at around 1990 and will close at around 2020.
decline steadily until it ceases altogether by approximately 2015, then turn strongly negative (United Nations, 2004). The slight decline of the proportion of the young population aged 0-14, combined with the rapid increase of the elderly population and the sharp decline of the working age population will cause the total dependency ratio to rise dramatically after reaching its lowest point at around 2020. Figure 1 shows that China has reaped substantial benefits from its declining total dependency ratio, the socalled ‘demographic dividend’, since 1990. But this favourable age structure will gradually disappear when the total dependency ratio begins to rise to after 2020. The closing of ‘demographic window” implies that the ‘demographic dividend’ will turn into a ‘demographic deficit’ with potential adverse economic consequences. These profound demographic changes are causing increasing concern about the sustainability of China’s economic growth (Peng and Fausten, 2006; Cai and Wang, 2006 and Wang, 2006). Scholars and Chinese government officials worry that the looming demographic challenge may undermine China’s ability to grow rich before its population grows old (Jackson and Howe, 2004). percentage points annually during the 2040s (Peng 2006). In her investigation on China’s population policy, Peng finds that if China’s total fertility rate (TFR) were to increase to 1.8 or to the replacement level of 2.1 at the beginning of the century, then labour supply would expand. This expansion would help mitigate the adverse effects of population ageing on macroeconomic growth. However, per capita income may deteriorate because of the acceleration of the rate of growth of the total population induced by higher fertility regimes (Peng, 2005a). It seems that mitigating the negative effects of population ageing by raising fertility rate is not a good solution. This paper shed lights on the view that a more efficient allocation of labour between sectors is likely to be a better option than an increased fertility rate. Since 1978, economic reform in China has allowed large amounts of rural labour to move to other more productive sectors such as construction, manufacturing and services. This large rural migration has proven to be a source of gain in allocative efficiency and labour productivity (Cai and Wang, 1999). Several studies have shown that the contribution to economic growth of inter-sectoral labour movements was 14 to 20 percent between 1978 and the mid 1990s (World Bank, 1997; Woo, 1998; Cai and Wang, 1999; Kuijs and Wang, 2005 and Dekle and Vandenbroucke, 2006). China’s comparative advantage lies in labour-intensive manufacturing. However, increasing wage costs in recent years as a result of rural labour shortages in manufacturing sectors in east coastal areas could jeopardise China’s competitive advantage in the international market (Wang, 2006). working in the cities. As a result, migration in China has taken place to a large extent only in the form of a “floating population” (Kuijs and Wang, 2005). The paper will explore the economic impact of reducing labour market distortions against the backdrop of the population ageing and declining growth of labour supply over the period of 2008 to 2020 in China. 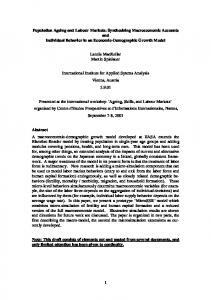 By applying a dynamic general equilibrium analysis, the paper attempts to answer the question: whether accelerating transfer of employment form agricultural to non-agricultural sectors by reforming the hukou registration system and removing other institutional obstacles can mitigate the negative effect of population ageing on macroeconomic outcomes and enhance China’s ability to support its rapidly increasing elderly population in the future. The paper will made a contribution to the literature by investigating the economic consequences of changes in the employment composition (eg rural labour reallocation) in the context of rapid demographic change and population ageing. Several studies have been conducted of the economic impact of population ageing in China. But all of these studies treat the labour force as a whole without paying attention to its employment composition (Cheng, 2003; Peng, 2005b, 2006 and Golley and Tyers, 2006). The paper is organized as follows. 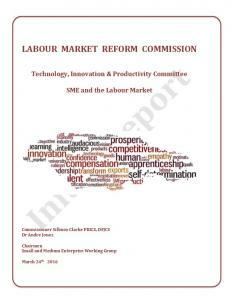 After the introduction, the second section explains the model framework and discusses labour market distortions in China. The development of a baseline scenario and the simulation results are presented in section three. 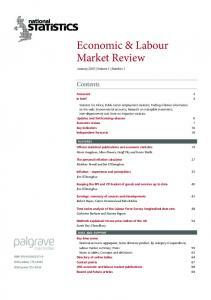 The impacts of labour market reform on economic growth are explored in the fourth section. The last section presents conclusions and policy implications. (Mai 2006 for the details of the MC-HUGE model). The model includes 57 sectors. Its base data reflects the 1997 input-output structure of the Chinese economy. The core CGE structure is based on ORANI, a static CGE model of the Australian economy (Dixon et al 1982). The dynamic mechanism of MC-HUGE is based on the MONASH model of the Australian economy developed by Dixon and Rimmer (2002). The MC-HUGE model captures three types of dynamic links: physical capital accumulation; financial asset/liability accumulation; and lagged adjustment processes in the labour market. In MC-HUGE, production is modelled using nested constant elasticity of substitution (CES) and Leontief production functions which allow substitution between domestic and imported sources of produced inputs and between labour, capital and land. The production functions are subject to constant returns to scale. Household demand is modelled by the linear expenditure system (ELES). Trade is modelled using the Armington assumption for import demand and a constant elasticity of transformation (CET) for export supply. China is considered as a small open economy in import markets where foreign import prices are determined in world markets. Exports are demanded according to constant elasticity demand curves for most of commodities. In the model, capital stock is accumulated through investment activities (net of depreciation). Investors respond to changes in expected rate of return. In this version of the model, we assume static expectations. Under static expectations, investors only take account of current rentals and asset prices when forming current expectations about rates of return. For the labour market, the wage rate is sticky in the short run and employment adjusts to clear the labour market. Over time, the wage rate adjusts to access supply/demand of labour so that employment returns to its long-run level. In the long run, employment is determined by demographic variables such as working age population and labour force participation rates. 2.2 Labour market distortion and wage differential In China the Hukou registration system4 and other institutional factors have created barriers to mobility between sectors. Though the Chinese government has pursued labour market reforms since 1978, labour market segmentation continues to exist. The probability of a rural migrant securing urban employment in a given sector still depends on a set of institutional factors, including residence requirements and other constraints imposed by the state. Migrant work is typically limited to jobs that the urban population find too hard or demeaning. Meanwhile, rural migrants are often denied many of the basic social services enjoyed by permanent urban residents such as access to subsidized housing, medical care, and schooling for their children. This institutionalized and systematic discrimination is an important reason for the observed high rates of return migration from urban areas back to rural villages (Tuñón, 2006). Furthermore, rural land tenure arrangements continue to increase the cost of outmigration and dampen off- farm labour market participation.5 All these labour market distortions have increased the migration cost and slow down the pace of rural migration. How can we model the effects of labour market reform on the labour transferring between agricultural6 and non-agricultural sectors and therefore on China’s economic growth? Ample evidence of labour market segmentation by economic activity is presented by Knight et al. (1999) and Wang et al. (2000), Shi et al. (2002) and World Bank (2005) suggest a dual sector model with wage differentials in China. Existing empirical research indicates that the Hukou system plays a significant role in supporting wage differential between agricultural and non agricultural sectors and income inequality between rural and urban areas (Liu, 2005, Whalley and Zhang, 2007). China has a strict household registration (hukou) system. Households must have an urban hukou in order to legally reside in an urban area. Without this registration, access to basic facilities and services including housing, education and social security are very limited and quite expensive. 5 Rural households that stop farming the land will lose the rights to it. This policy has increased the opportunity costs of leaving farming by creating a strong incentive to continue a low level of agricultural activity, even when profitability is quite low (Zhao, 1999). 6 The agricultural sector in the present paper includes farming, forestry, animal husbandry and fishery. The rest of all sectors are defined as non-agricultural sector. 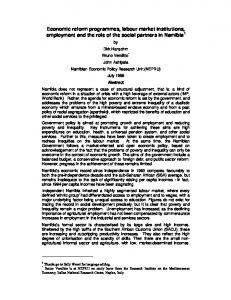 In the absence of barriers to the movement of labour between rural and urban areas, and between agricultural and urban non-agricultural sectors, real wages would be equalized for an individual worker with given characteristics (Hertel and Zhai, 2005). But in China, the wage rate in the agricultural sector has far below the wage rate in other sectors. The wage gap, which is defined as a ratio of the level of wage for agricultural and non- agricultural labour, was 3.79 in 1997 and it widened to 4.69 in 2005. The main reason for the low wage rate in the agricultural sector is its low labour productivity comparing with other sectors. In 2001, the labour productivity ratio of urban industry, urban services and rural-non-farm to agriculture in China is an astonishing 4-10 times larger than in other countries. More significantly, while the productivity ratios of other countries have generally been stable or falling, in China it has risen substantially over the last 25 years (Kuijs and Wang, 2005) (refer to Figure 2). These extremely high ratios as well as their rising trend are symptomatic of the major distortions in the labour markets, especially in its bias against the agricultural sector. The slow relocation of rural labour generated from the hukou system and related institutional barriers has hampered productivity growth in agriculture (Kujis and Wang, 2005). But these same trends highlight the tremendous potential for efficiency gains and economic growth. They also support the scope for promoting sectoral and regional equality by reallocating labour resources between agriculture and other non-agricultural sectors (World Bank, 2005). But how much is the wage differential between agricultural and non-agricultural sectors directly related to the hukou system and other institutional barriers? Shi (2002) explore wage differentials between rural and urban workers for nine different provinces using the China Health and Nutrition Survey (CHNS) data. After controlling for differences in personal characteristics, education, occupation and living costs he finds that approximately 28 per cent of the rural-urban wage difference can be explained directly by the coefficient on the hukou registration variable. Whalley and Zhang (2007) use a model with homogeneous labour in which wage inequality across rural and urban regions is supported solely by quantity based migration restrictions. They calibrate this model to base case data (the wage difference between rural and urban workers is 10581 Chinese Yuan in 2001) and when they remove migration restrictions wage difference disappears. Rural wage rate increases by 3208 Chinese Yuan, which represents 30 percent of wage difference in the base case data. We must mention that it is not very clear whether the wage differential related to the hukou system in the existing empirical research takes into account hidden income accruing to urban households such as housing, education, medical care, and other social benefits such as unemployment insurance, employment injury insurance, pension insurance and maternity leave. Since the majority of nonagricultural employment is urban located, excluding the social benefit that urban workers have will underestimate the wage differential related to the hukou system and labour market distortions. (2006). For the purpose of this paper, we extend the baseline further to 2020. The macroeconomic variables in the baseline scenario are shown in Table 1. The growth rate of total labour force is exogenous. It is determined by the growth rate of working age population and aggregate labour force participation rate. The growth rates of working age population from 2006 to 2020 are from United Nations medium variant population projection. The labour force participation rate of working age population is assumed to keep constant at 2000 level which is 82 percent. In the baseline, the growth rate of real GDP is 7.9 per cent in 2008, and decreases gradually to 7.05 per cent in 2020. The growth rate of the capital stock is determined by the growth of investment and net depreciation of capital. The growth of total factor productivity represents the difference between the GDP growth and the growth rate supported by the accumulation of labour and capital. This ranges from 2.59 – 3.22 percent over the simulation period. With continued strong growth of exports China’s terms of trade slightly deteriorates. Real wage rates, especially for non-agricultural sectors, show strong growth as a result of productivity improvement and declining growth of labour supply. In the original model of MC-HUGE, total employment is disaggregated into 57 sectors. For the purpose of this paper, we categorize all the workers of 57 sectors into two groups: agricultural sector and non-agricultural sector. The baseline scenario shows an increasing wage gap between the agricultural and non-agricultural sectors. This is consistent with China’s historical experience from 1997 to 2005. The wage gap between the agricultural and non-agricultural sectors was 3.79 in 1997. It widened to 4.69 in 2005. In the forecast period the wage gap further increases to 5.29 in 2010 and to 5.77 in 2020. Even though rural households are deriving less income from the agricultural sector (the share of income from agriculture over the total income of rural household has decline from 61 percent in 1995 to 42 percent in 2006), the widening gap of the wage rate between the agricultural and non- agricultural sectors will still contribute to the growing income inequality between rural and urban residents. Level of Wage gap between agriculture and other 5.05 5.29 5.54 sectors Share of agriculture employment in total 46.0 45.0 44.4 labour force (%) Source: Baseline simulation results. * Only selected years results are displayed in this table. The bottom row of Table 1 shows the evolution of the share of agricultural employment in the total labour force. Continuing its historical trend (1997-2005), the share of agricultural employment keeps declining throughout the simulation period. In 2020, its share will drop to 40.4 percent. The share of manufacture and services sectors will increase to 59.6 percent. The continued shift of labour from agricultural to non-agricultural sectors is the result of faster growth of non-agricultural sectors which create more employment opportunities and attract agricultural labour to move to these sectors. 4 Policy simulations and results The paper conducted two policy simulations. 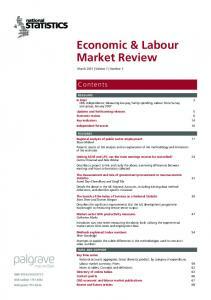 The first simulation explores the effects of labour market reform on China’s economic growth. The second simulation considers the consequences of productivity improvement in the agricultural sector. 4.1 Simulation one – effects of labour market reform In the policy scenario, we assume that the Chinese government will continue its hukou system reform and the labour market distortions that hinder the movement of labour from agricultural to non-agricultural sectors will be removed between 2008 and 2020. We assume that the labour market distortions directly associated with the hukou system and other institutional obstacles is equivalent to 28 percent of the wage differentials between the agriculture and non-agricultural sectors. In simulation one, we shock the wage differentials to reduce by 11.4 percent annually from 2008 to 2010 (the total reduction of the wage difference in three years is 28%). The removal of the labour market distortion will drive more labour to shift from agricultural to nonagricultural sectors. This increased labour movement will slow down the growth of wage rate in the non-agricultural sector and increase the growth of the wage rate in the agricultural sector. The simulation results are shown at Figures 2 to 5 and at column two of Table 2. The hukou system reform serves to increase labour shift from the relatively low productivity agricultural sector to the higher productivity non-agricultural sector. The total movement from agricultural to non-agricultural sectors is 50.14 million. As a result the share of agricultural employment is 14.55 percent lower and nonagricultural sectors is 10.28 percent higher than in the baseline scenario in the year 2020 (Figure 2). In other words, with the labour market reform the share of nonagricultural employment in 2020 will increase to 66.5 percent which is 6.88 percentage points higher than in the baseline scenario. 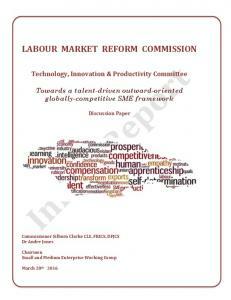 The increased migration of labour force is expected to boost all macroeconomic variables. For example, real GDP in 2020 will be 5.45 percent higher than in the baseline scenario. There are two reasons for the higher growth rate of GDP. First, the increased movement of labour from the relatively low productivity agricultural sector into higher productivity non-agricultural sector boosts economic growth directly. Even though the total labour supply is fixed at the level of the baseline scenario, the change in the employment composition of the labour force contributes to growth of GDP. The shift from low productivity agricultural sector into higher productivity nonagricultural sector increases the effective labour force. As a result, the total employment measured by wage bill weights increases. As Figure 2 shows by year 2020, employment measured in wage bill weights is 4.96 percent higher than in the baseline scenario. To illustrate, given the inter-sectoral wage difference of 34996 Chinese Yuan in 2020, the shift of 50.14 million workers into the non-agricultural sector will increase the total wage bill by 1754.7 billion Chinese Yuan, which accounts for 4.96 percent of total payment to labour). the policy scenario is 5.86 percent higher than base case. Relative faster growth of capital also contributes to the growth of GDP. The movement of labour force from agricultural sector to non-agricultural sector lifts the growth of China’s export dramatically. As Figure 4 shows export will be 10.07 percent higher than in the baseline scenario in 2020. The reason is that with the slower growth of the wage rates in non-agricultural sector (compared with the baseline scenario, the wage rate in non-agricultural sector is 11.85 percent lower in 2020), especially in manufacture sector, the labour cost in these sectors is reduced. This further increases the competitiveness of Chinese exports in the world market. As a result Chinese export expands. The expansion of export implies more employment opportunities which may further attract rural migrants. agricultural to non-agricultural sectors causes the agricultural wage rate to increase, raising the price of agricultural products (as Figure 5 shows, the wage rate of agricultural workers is 59.66 percent higher in 2020 than in the baseline scenario). The contraction of agricultural output as a result of increased migration from agricultural to non-agricultural sectors also drives the food price to increase (agricultural output is 9.23 percent lower than in the baseline scenario in 2020 while non-agricultural output is 8.95 percent higher (Figure 5)). Since the food consumption represents nearly 40 percent of households’ income, the higher price of agricultural products slows down the improvement of households’ living standards. One notable feature of this simulation result is the sharp increase in agricultural wage rate and hence a large increase in the price of agricultural products and consumer price index. We think that we overestimated the impact of shifting rural labour to urban industries on the price of agricultural products. This is mainly due to the difficulty in estimating wage rates for the agricultural activities. We think that the level of implied wage for the agriculture sector in the model database8 is closer to the level of average product. The average product in agriculture is much higher than marginal product given widespread underemployment in the Chinese agriculture sector. This means that we overestimated the share of labour in the production costs of agriculture products. Our policy simulation result may therefore overestimate the increase in agricultural production costs in the presence of substantial labour movement into the urban sector. In our next round of simulations, we plan to modify our estimates of labour cost in agriculture. The implied wage is calculated from total wage bill in the input-output table and number of persons employed in the China statistical yearbooks. non-agricultural sectors. The resulting increase in the movement of rural labour will mitigate, to a certain extent, the adverse effects of population ageing by raising not only the growth rate of total output but also household living standard (real consumption). The induced expansion of China’s economy provides a relatively solid foundation for supporting the rapidly increasing elderly population in the twenty-first century. Especially given the relatively faster ageing of rural population, the faster growth of agricultural wage rate will increase the rural labour’s ‘financial ability’ to support the rapid growth of the rural elderly population. First, productivity improvement in the agricultural sector directly contributes to growth of real GDP. 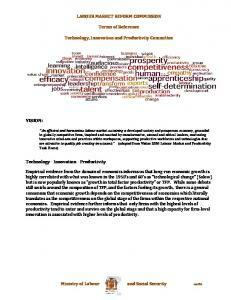 Secondly, productivity improvement in the agricultural sector reduces the demand for labour and releases more labour. This will further increase the labour shift from agricultural to non-agricultural sectors. Compared with the result in simulation one, there will be 1.58 million more worker moving out of the agricultural sector (in simulation one, there is 50.14 million labour shifting from agricultural to non-agricultural sectors. In simulation two, this figure is 51.72 million). As a result, the effective employment in the whole economy will increase further. The employment measured by wage bill weights is 5.12 percent higher than in the baseline scenario in 2020 (0.16 percentage points higher comparing with simulation one’s result). The increased employment contributes to growth of GDP. Thirdly, given the rates of return on capital, the improvement of productivity and the increase of effective labour stimulate growth of capital stock. We notice in year 2020 the capital stock is 0.28 percentage points higher than in the simulation one and 6.14 percent higher than in the baseline scenario. The growth of real GDP is the result of growth of productivity, effective employment and capital stock. The productivity improvement will also lift the households’ living standards. As table 2 shows the real consumption is approximately 2.55 percent higher than in the baseline scenario. from 1990 to 2000 is 1.95 percent based on Brümmer et al. (2006) and 1.97 percent based on Rao, et.al. (2004). In the present paper, our assumption of 1.5 percent increase in the agricultural productivity in 2012 generated by labour market reform is quite reasonable. Labour shift from agricultural to non50.14 51.72 agricultural sectors (million persons) Source: policy simulation results * These simulation results show the combined effects of both shocks in the two policy simulations. As a result of increased labour shift between sectors, the share of agricultural employment will further decline (15.07 percent lower than in the baseline scenario) and the share of non-agricultural employment will increase (10.61 percent higher than in the baseline scenario). Total output of agricultural sector is still lower than in the baseline case. However, comparing with the results in simulation one, the performance of agricultural sector is improved. In summary, the labour market reform combined with the productivity improvement in agricultural sector will accelerate the labour shift from agricultural sector to nonagricultural sector. The negative effect of declining agricultural employment on agricultural output will be mitigated by the productivity improvement. The gain generated from the labour re-allocation will further boost not only economic growth but also the households’ living standard. 5 Conclusions and policy implications The one-child population policy implemented since the late of 1970s in China has decelerated the growth of China’s working age population since the 1990s. This growth is 0.9 in 2008 and it will decline to 0.5 in 2010 and from 2015, it will turn sharply negative, resulting declining labour force in China. What is the effect of the decline of the growth of working age population on China’s economic growth? We conducted a counterfactual simulation by assuming that the growth rate of working age population will keep at its 2008 level throughout the simulation period (20082020) and all other exogenous variables are the same as the baseline scenario. We found that if the growth rate of working age population does not decline then the average annual growth rate of real GDP from 2008 to 2020 will be 7.87 percent (refer to Table A1). This implies that the declined growth rate of working age population as a result of sustained low fertility since the late of 1980s will reduce the average annual growth rate of real GDP by 0.31 percentage points from 2008 to 2020 (the annual growth rate of real GDP with the declining growth of labour supply is 7.56 percent). What is the suitable policy to mitigate this negative effect of declining growth of labour supply? This paper sheds lights on the view that a more efficient allocation of labour between sectors is likely to counter balance the negative effect of declining labour force. Using a dynamic CGE model of China, we analyse the effects of removing labour market distortions that hinder the movement of labour from agricultural to manufacturing and services sectors over the period 2008 to 2020 in the context of declining growth of labour supply in China. and non-agricultural wages. They also have contributed to the existence of more than 130 million temporary migrant workers. We model the impact of the reform of the hukou system by removing wage differential attributed to labour market distortions. This distortion is equivalent to 28 percent of wage difference between agricultural sector and non-agricultural sectors. Policy simulation shows that reducing the wage difference stimulates movement of labour from agricultural to non-agricultural sectors. 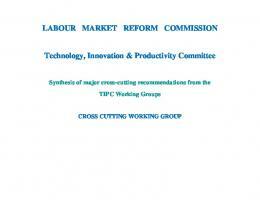 The resulting increased inter-sectoral labour movement boosts the growth of total output and real consumption. The simulation shows that the average annual growth rate of real GDP from 2008 to 2020 is 8.01 percent (The annual growth rate of real GDP is 7.56 percent in the baseline scenario). This means that the labour market reform could mitigate the negative effect of declining labour supply by 0.45 percentage points annually. These simulation results are consistent with the empirical evidence and existing CGE analysis of the impact of factor market reforms: economic efficiency can be improved through institutional reform in factor markets aimed at improving rural-urban labour mobility (Hertel and Zhai, 2006). The rapid population ageing and declining labour supply in the twenty first century presents a major challenge to China’s policymakers. The expansion of China’s economy resulting from the hukou system reform provides potential means to meet these challenges. The higher growth of the economy as a result of increased agricultural non-agricultural labour movement will mitigate the erosion of living standards of declining labour supply generated from low fertility and population ageing. Furthermore, increased rural migration helps China to reap the ‘demographic dividend’ by providing opportunities for rural labour to gain employment in the higher productivity sectors that are typically located in urban areas. the systematic gap between rural and urban labour market outcomes. It will help rural migrants to enjoy employment opportunities, wage payments, public services and social security protection that are increasingly comparable to those experienced by urban residents. Some limitations of the present investigation must be noted. First, as explained in section 4.1 we suspect the impact of inter-sectoral labour movement on the price of agricultural products is overestimated due to the high agricultural wage rate in the database. Since the agricultural wage rate is a very important variable for our study, in future investigation we attempt to modify the estimation of the labour cost in agriculture. Secondly, our paper did not consider the endogenous productivity improvement by the expansion of the export derived by labour shift between sectors. As China expands its exports to the world markets, Chinese firm will import more capital- and technology- intensive goods as both investment and intermediate inputs from industrial countries. These goods are usually embodied with advanced technology from abroad, thus stimulating productivity growth (Zhai and Wang, 2002). Furthermore the relatively lower cost of labour will attract more foreign direct investment and further improve China’s productivity and boost economic growth. However, these endogenous productivity improvements that might be generated from removing the labour market distortion are not considered in the current simulation. In this case, the increase in real GDP due to removing labour market distortion is underestimated in this study. Thirdly, we use the 28 percent of wage differential between agricultural and non-agricultural sectors to represent the labour market distortions. This value is obtained from the existing empirical research. In the future more effort will be put into the calculation of the wage differential between agricultural and nonagricultural sectors which directly derived from the labour market distortion. Rao, D.S. P., Coelli, T. J. and Alauddin, M. (2004), “Agricultural Productivity Growth, Employment and Poverty in developing Countries, 1970-2000,” Centre for Efficiency and Productivity Analysis (CEPA), University of Queensland Shi, X. (2002), “Empirical Research on Urban –Rural Income Differentials: the Case of China”. Unpublished manuscript, CCER, Beijing University. Tuñón, M. (2006), “Internal Migration in China: Features and Responses,” ILO office, Beijing. United Nations (2004), World Population Prospects: The 2004 Revision, New York. Wang, F. and A. Mason (2004), “The Demographic Factor in China's Transition”, Paper presented at the Conference on China's Economic Transition: Origins, Mechanism, and Consequences, Pittsburgh, 4-7 November. Wang, D. W., F. Cai and X. W. Zhang (2004), “The Saving and Growth Effects of Demographic Transition – An Analysis of the Contribution of Demographic Factor to Sustainability of China’s Economic Growth,” Journal of Population Research, No.5: 2-11 (in Chinese). Wang, D. W. (2006), “Changes in the Relationship between Labour Supply and Labour Demand and China’s Economic Growth in the Low-fertility Era,” Working Paper, Institute of Population and Labour Economics, China Academy of Social Science, Beijing. Woo, W. T. (1998), “Chinese Economic growth: Sources and Prospects,” in Michel Fouquin and Francoise Lemoine (ed. ), The Chinese Economy, Economica, London. World Bank (1997), “China 2020: Development Challenges in the New Century,” World Bank Report No. 17087, Washington, DC. World Bank (2005), “Integration of National Product and Factor Markets: Economic Benefits and Policy Recommendations,” World Bank Report No. 31973-CHA, Washington, DC. Zhao, Y. (1999), “Leaving the Countryside: Rural-to-urban Migration Decisions in China.” American Economic Review, Vol.89: 281-286. Zhai, F. and Z. Wang (2002), WTO Accession, Rural Labour Migration and Urban Unemployment in China, Urban Studies, Vol.39 (12): 2199-2217. 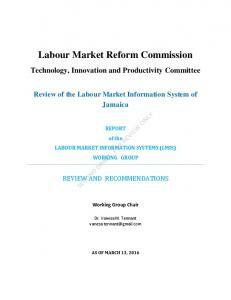 Report "Population Ageing, Labour Market Reform and Economic Growth in ..."